With its innovative and compact design, this new ultra-quiet aeration system consumes very little power (1.3 W). The packaging stands out, highlighting the product and its high-tech look. Installation is easy, thanks to the suction cup on the back of the StickAir. Designed for small-volume aquariums (up to 50 L). 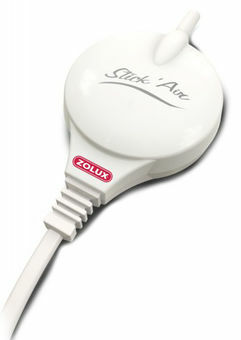 The StickAir comes with a tube, a diffuser, and a check-valve built into the body of the pump.